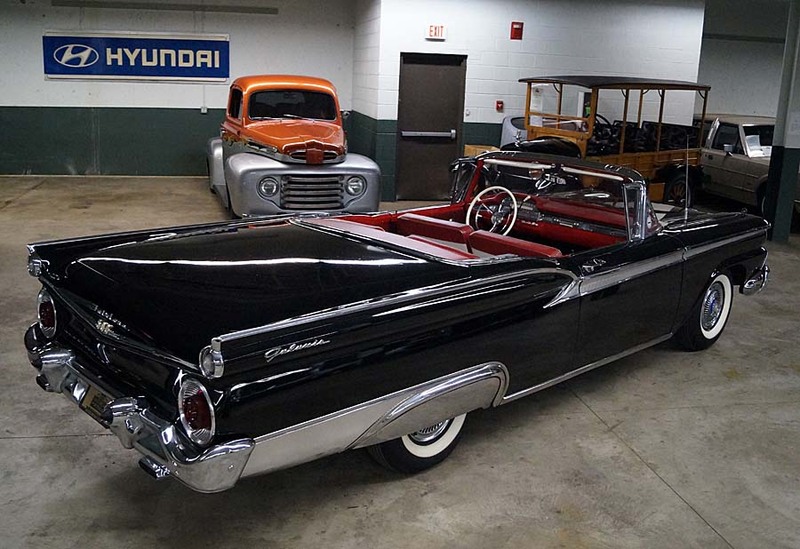 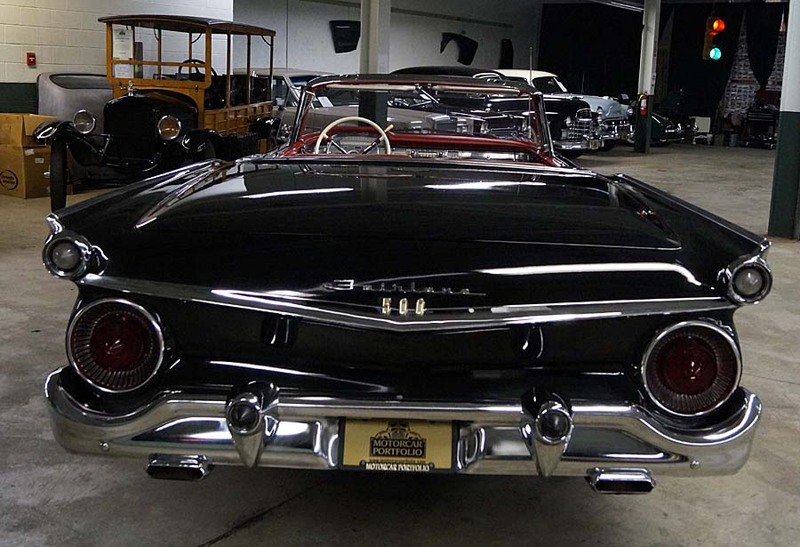 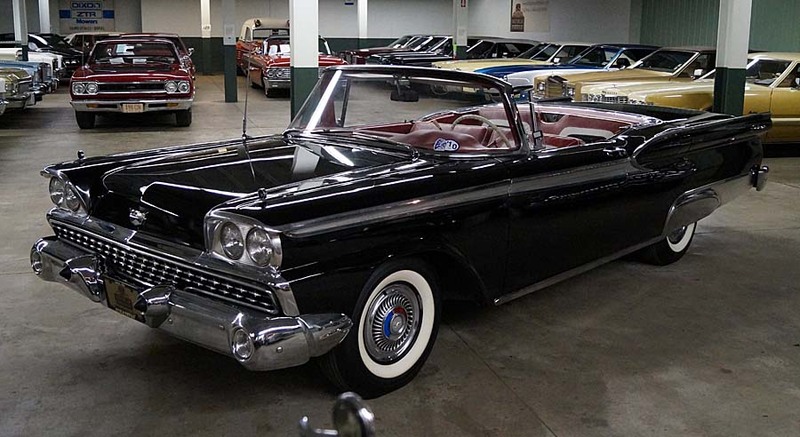 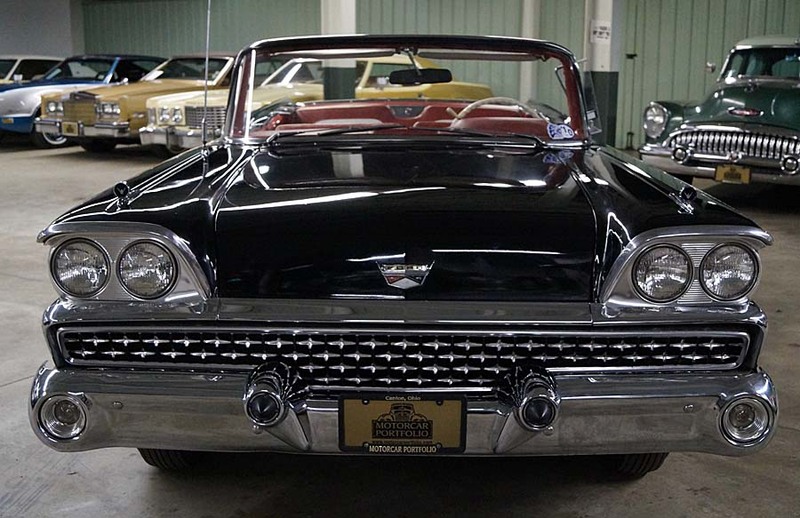 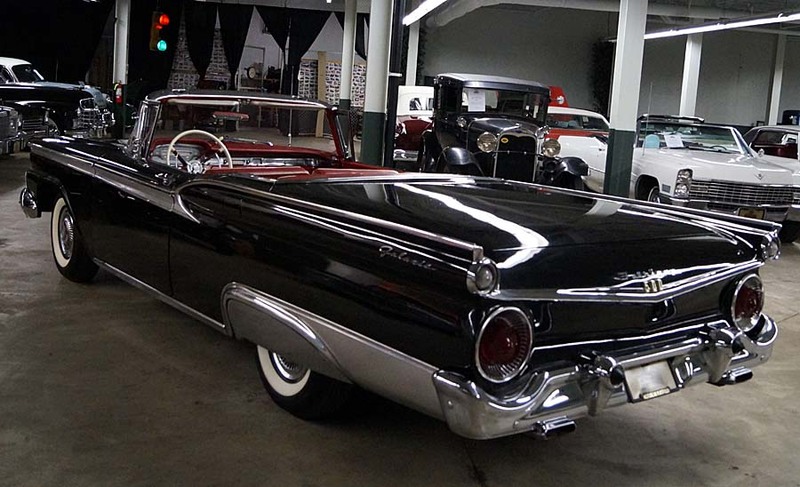 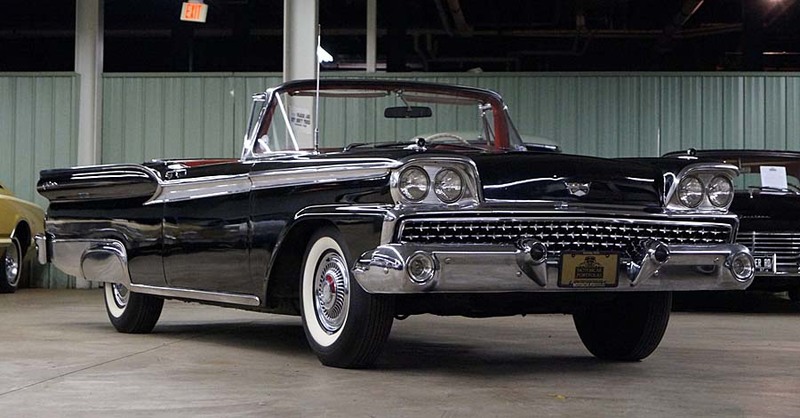 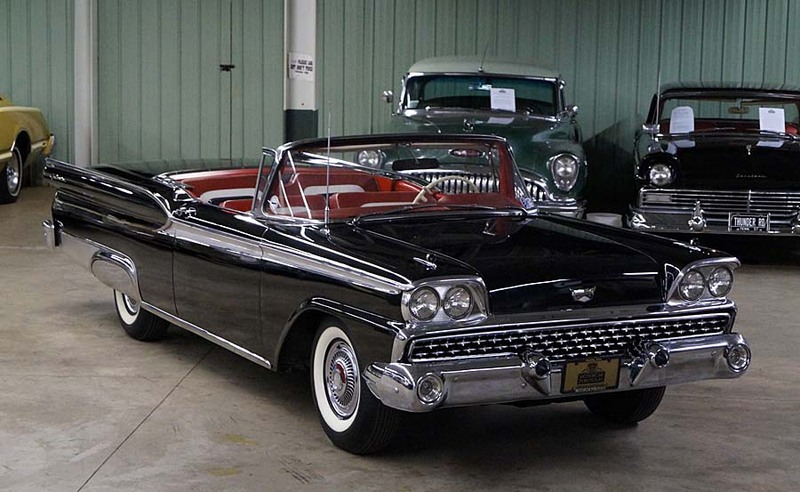 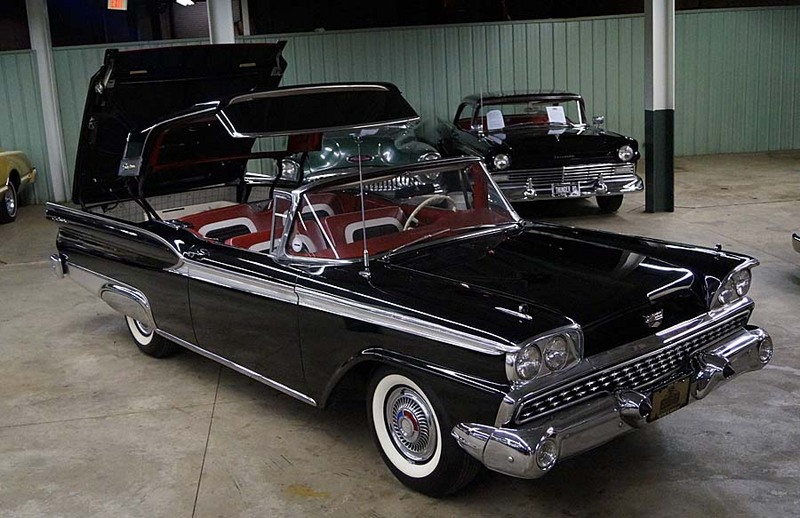 1959 Ford Fairlane 500 Galaxie Skyliner 2-dr. retractable hardtop / convertible. 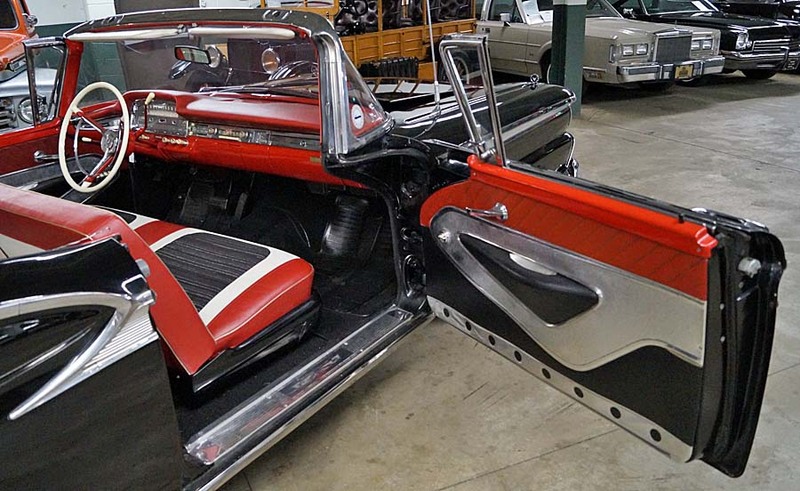 Raven black with red and white interior accented with white wall tires and stainless steel fender skirts and Sun Ray wheel covers, bumper guards, AM radio, and power windows and seat. 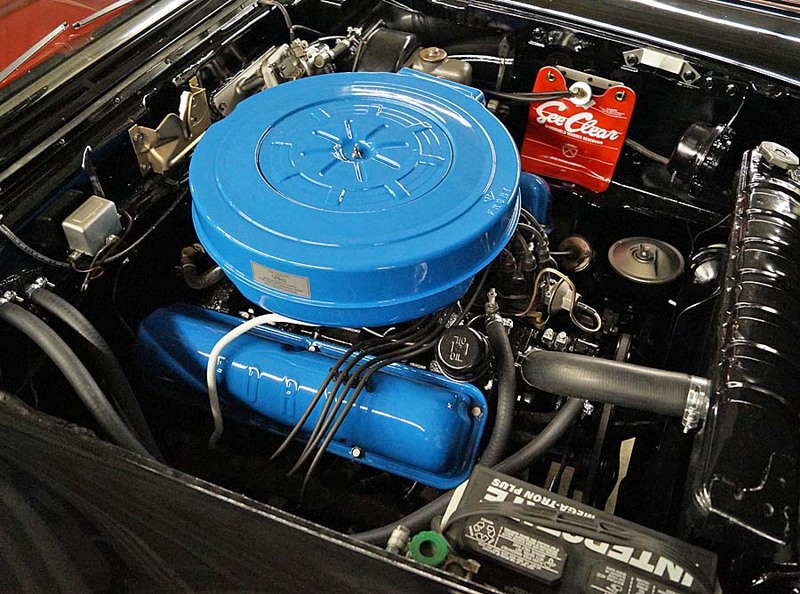 Powered by the 352 ci. 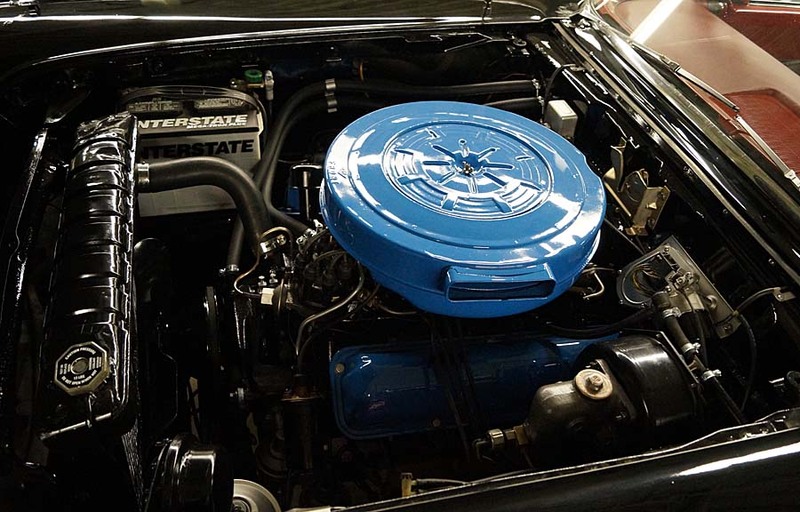 /300 hp V8 with dual exhuast and Ford accessorie tips, coupled to the Cruise-o-matic automatic transmission and power steering and power brakes. 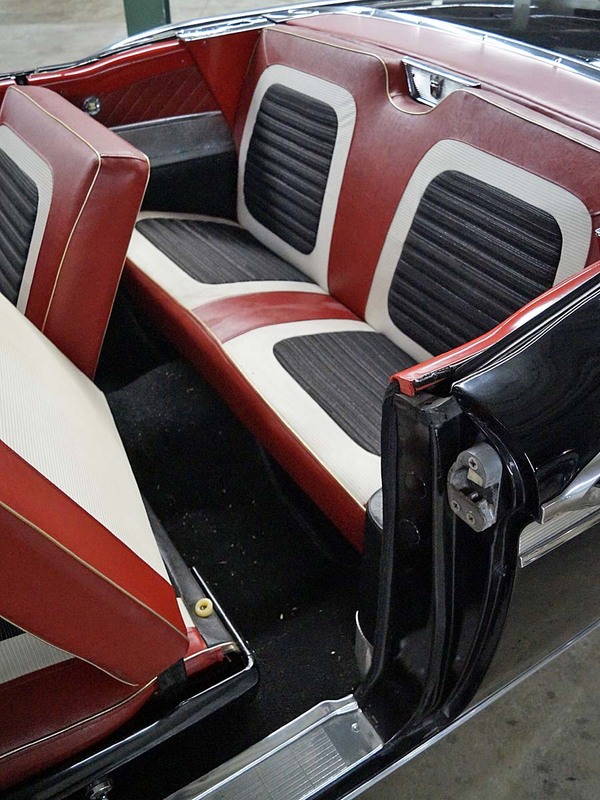 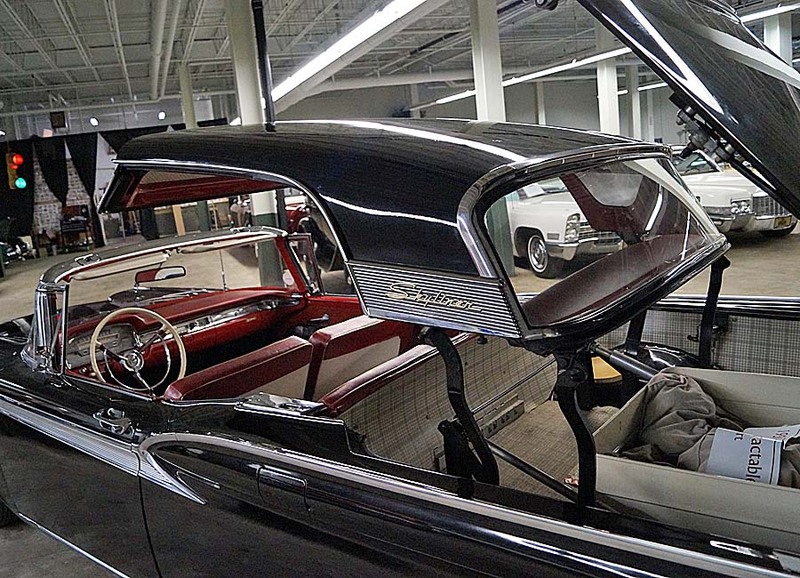 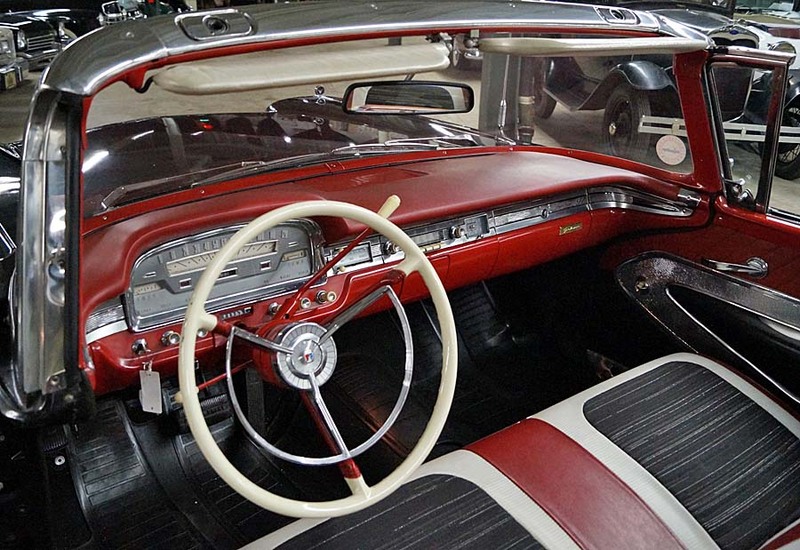 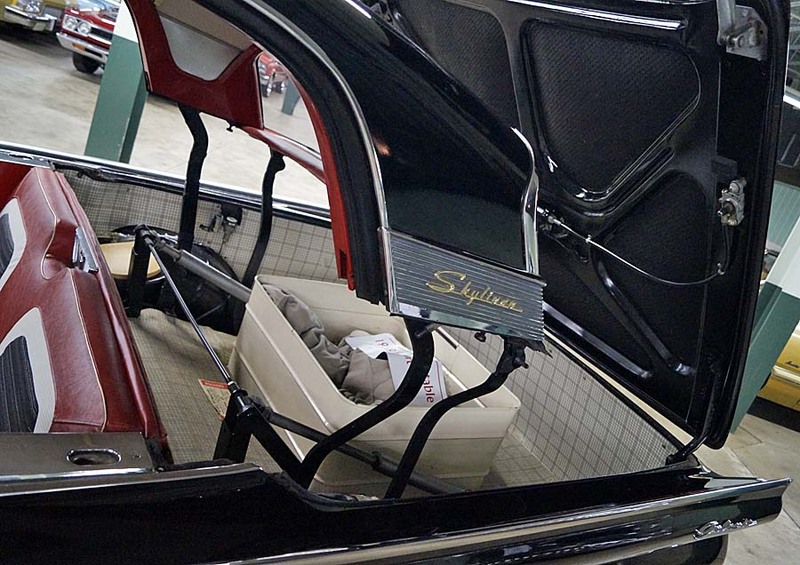 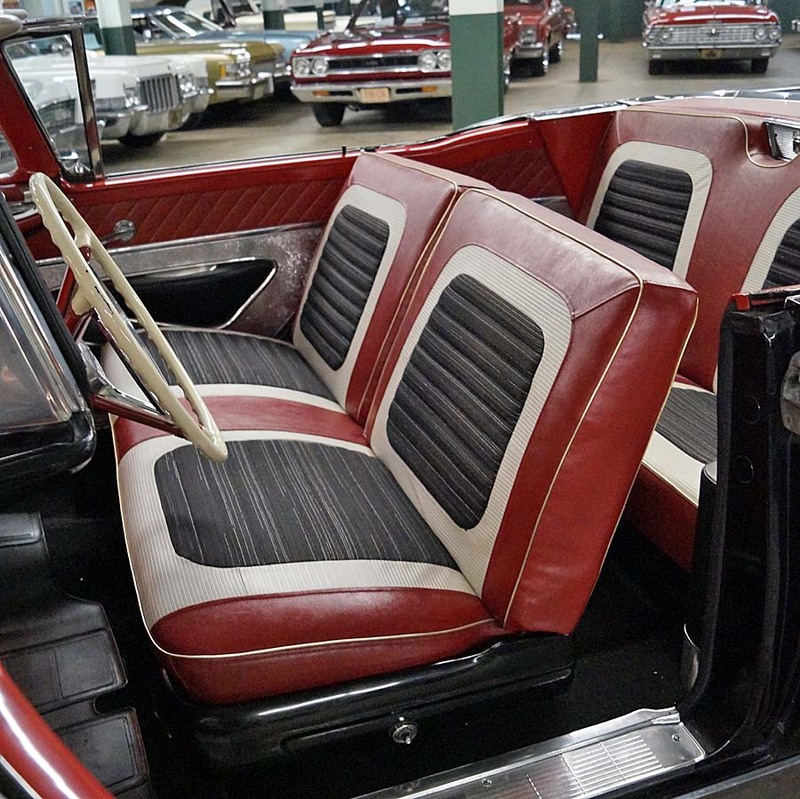 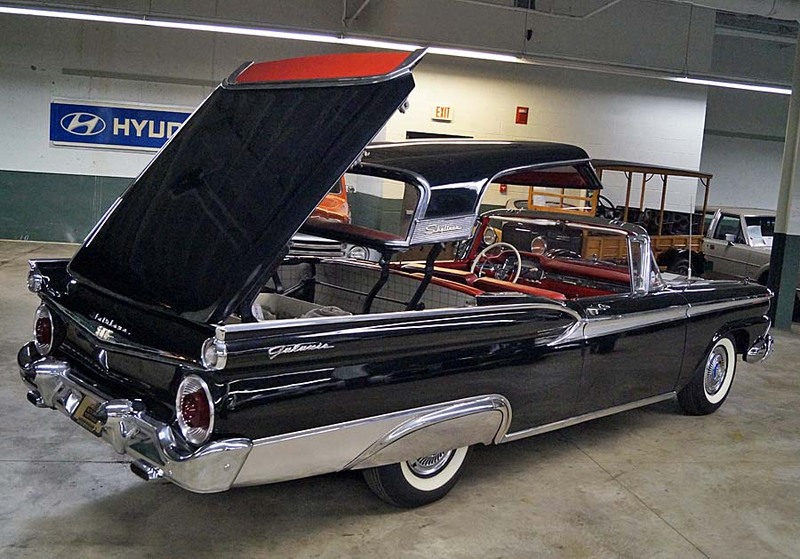 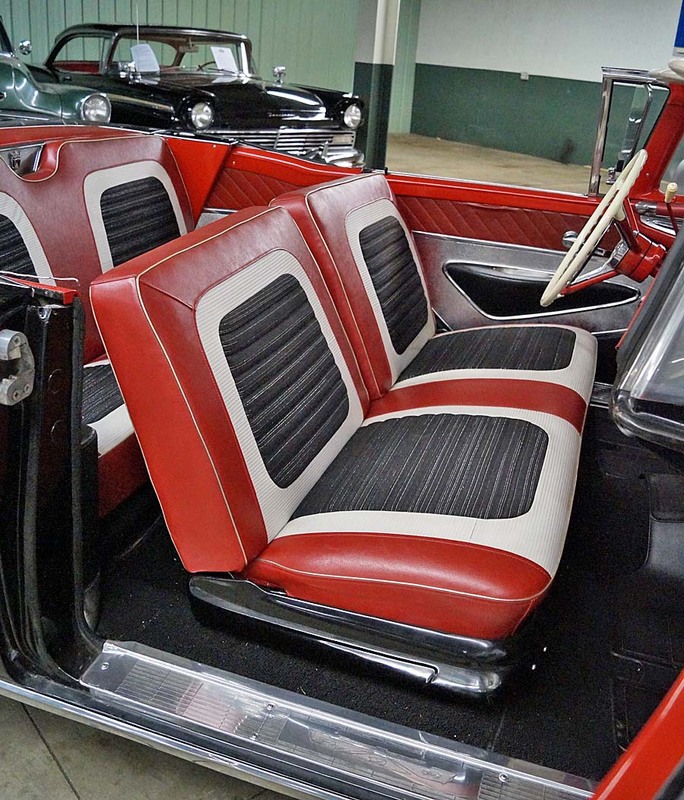 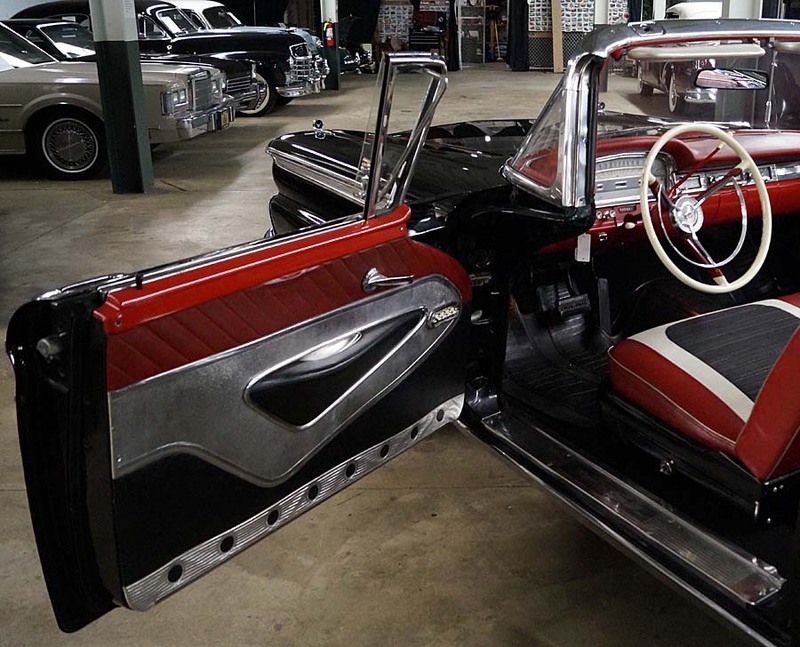 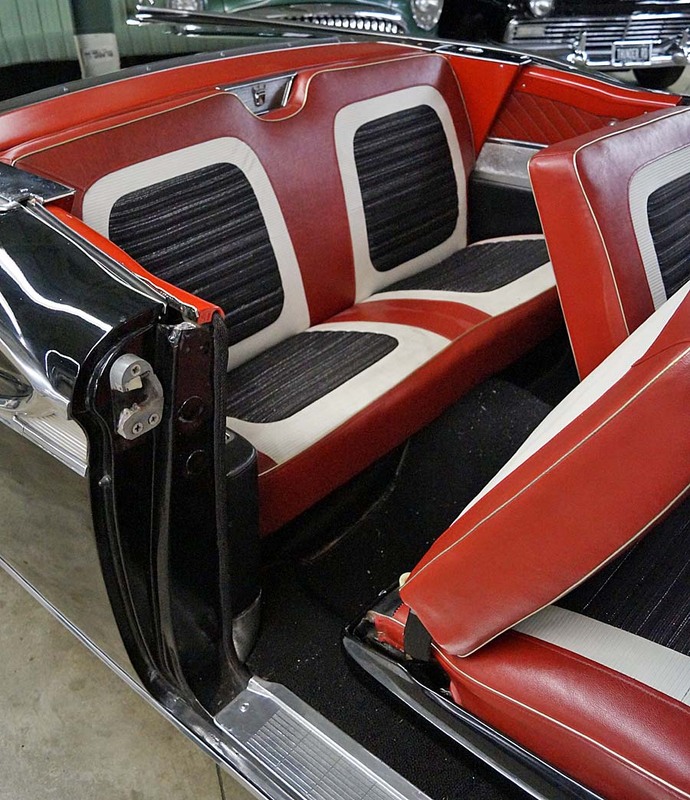 A wonderful cosmetically restored car with a fully operational retractable top and deck lid. 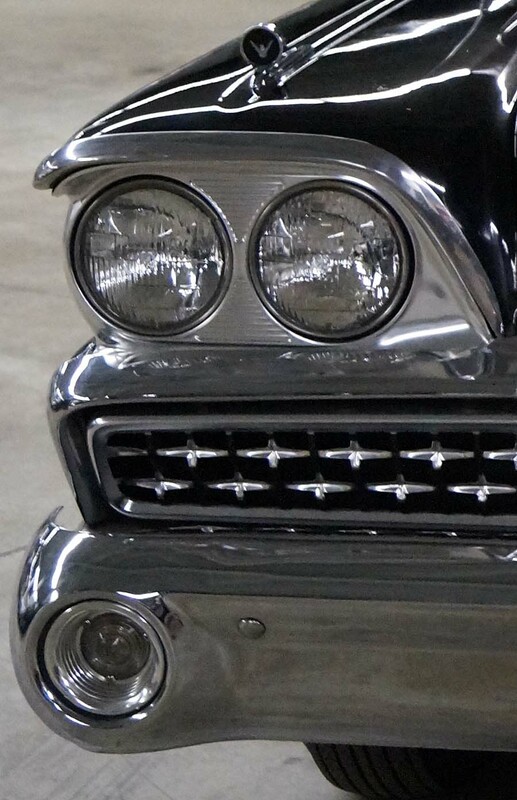 Shipping and financing available, scroll down for full photo set.